To most of us the name Sharp Aquos brings flat screen TVs to mind. But now, we can add smartphone to that name too. Softbank, the Japanese mobile carrier today announced that it will bring the first Sharp Aquos touchscreen phone to its network. And boy, does the phone scream Aquos. It is the first phone to have 1048X480 resolution on 3.8 inches screen. Its 3G feature set is also decent with 5 Mpxl camera with image stabilizer, accelerometer, 1seg TV tuner, and a media player with microSD expansion. And as you can see in the image below, it has dedicated key for Yahoo instant messenger and messaging. If the software on the phone is decent, this phone could be a true iPhone killer (at least in Japan :)). 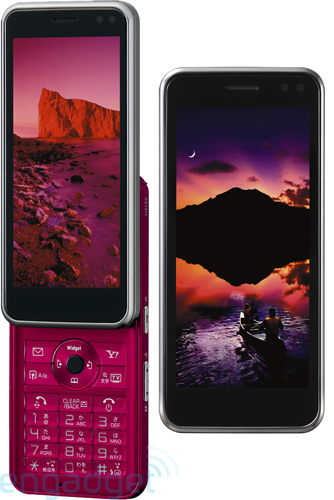 HP announced today that it will launch a new touchscreen smartphone under the iPaq brand targeted towards the consumer market. 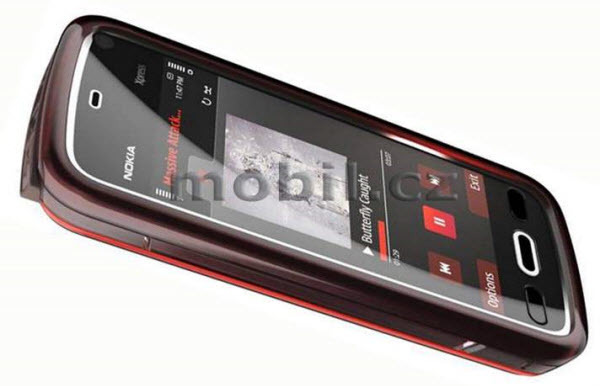 The phone will be based on the Microsoft Windows Mobile 6.1 platform and will also have a keypad. The phone will launch in Europe before the end of the year and will be sold in carriers’ retail stores. Worldwide release will follow after that. No pricing details or carrier details were announced. Samsung today announced the launch of two new clamshell phones, SCH-W570 and SPH-W5700, at the CEATEC show in Japan. What’s so special about them? Well both these phones have dual screens on them so you can use the phone even when it is closed. The front screen is a 2.2 inches touchscreen which gives you easy access to your music, email , camera and TV. The inside screen is more conventional screen still with 2.2 inches or real estate to access all the features of the phone. Both the phones have 3Mpxl camera. No word on the pricing or launch dates yet. However, the interesting thing about this is that it is targeted towards the lower to mid-market. According to LG, the phone comes ‘with an affordable introduction price never offered before. 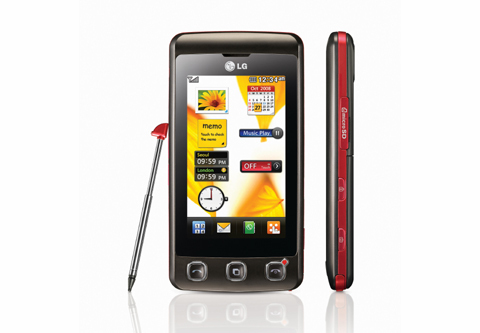 ” The LG KP500 will be available at the end of October 2008 in Europe and then on to the rest of the world. The price of the LG KP500 will be announced during the launch. There is also a promo video to go with it.